PUNE: A 26-year-old IT professional from a reputed firm allegedly hanged himself after naming two colleagues in his suicide note, the police said. 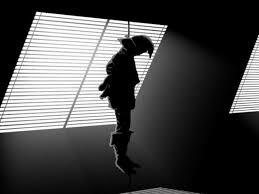 Chetan Jayale, who was working in Hinjawadi IT Park, hanged himself at his rented accommodation, an official said. "We have recovered a suicide note in which he has named two of his senior managers and alleged that he was subjected to mental harassment by them and that is why he was taking this step," a Chaturshringi police station official said. "On Wednesday, while his room mates went to work, Jayale, who had taken an off from office, remained at home. He then hanged himself," he said. A case has been registered against the two persons named in Jayale's suicide note, he added. "While one official is in UK, the other is working here," he added.